Last term the College of Humanities welcomed its first student cohort on the inaugural MA International Film Business programme at the University of Exeter. 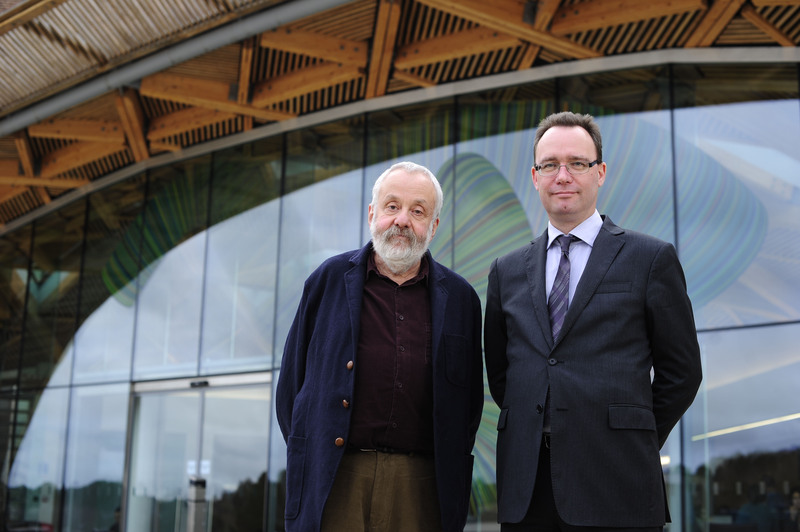 Chairman of the London Film School (LFS) and multi-award-winning director Mike Leigh with Deputy Vice Chancellor (Education) Professor Nick Kaye. Photo by Jim Wileman. In an exciting partnership with the London Film School, MA International Film Business students have had the opportunity to explore the filmmaking industry both here in the south-west and the capital, where the students have been studying since January. Co-directed by Angus Finney of the London Film School and Professor Will Higbee at the University of Exeter, the programme provides students with an understanding of the film industry and its practices, key business tools, and an insight into world cinema and the role of film culture. 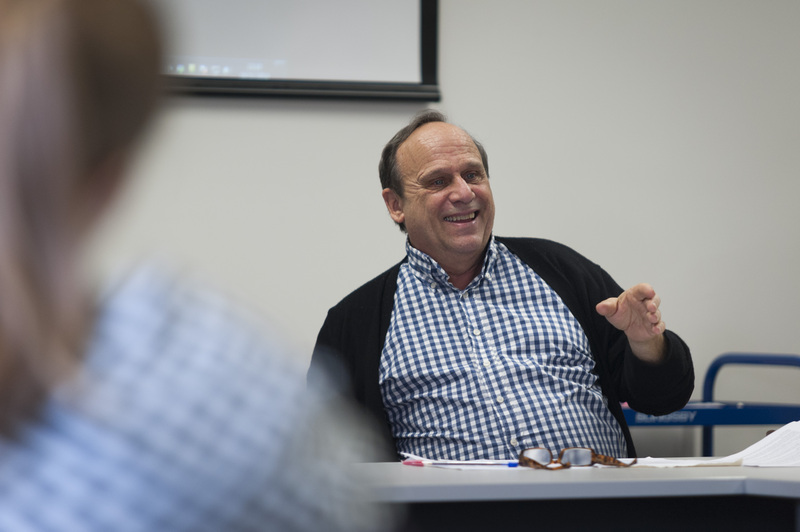 During their first term, MA International Film Business students were taught by film specialists from the College of Humanities and the Exeter Business School. A number of notable industry experts came to speak to the students. These included film director and producer Don Boyd, British independent producer James MacKay, US/UK film producer Gavrik Losey and Ken Dearsley, Independent Consultant and Partner of the Intellectual Property and Technology group IPT. Another industry speaker to visit the University was local filmmaker and pop-up cinema entrepreneur David Salas. David worked with the students to curate their own pop-up cinema event, asking them to prepare and present a series of short films for the general public in the Bill Douglas Museum at the University of Exeter. The six groups of students put on a varied and exciting programme of films, each spanning different genres, styles and languages. During the course of this year, we hope to let you know the progress of these students as they embark on their next term of study at the London Film School. For more information about the MA International Film Business programme, please visit the College of Humanities website.